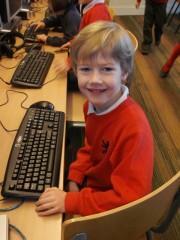 Computing is an exciting and innovative area or learning here at Collis. From Nursery to Year 6, Computing is embedded into all areas of learning, whilst also being taught as a discrete subject. Through programmable toys and games in Nursery and Reception, through to the creation of videos and animation further up the School, the children are encouraged to use the technology available to them in a purposeful and positive way, so as to enhance their learning. The children are fortunate enough to have access to a large bank of computers and a wide variety of technological aids, which they can use on a regular basis. They are encouraged to use microphones, digi-cams, cameras and other recording equipment to record and self-assess their work. Each class has access to a unique computer log-in, which enables the children to save their work in individual folders, which ensures that their progression can be tracked as they move up through the school. Here at Collis, we educate pupils about the benefits and risks of using technology and through our teaching of E-Safety, we provide safeguards and awareness to enable them to control their online experience. 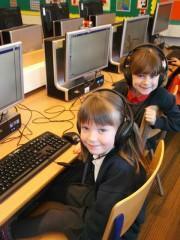 Further E-Safety information can be found at www.childnet.com and documentation can be downloaded at http://www.childnet.com/resources. Computing is a fast paced and ever developing area of the National Curriculum and we are committed to keeping up to date with the newest technologies.